The Audiogram Workbook - the first guide to provide comprehensive practice in the administration of audiograms - lets the student work through more than 100 clinical cases covering a full range of audiologic disorders. Each exercise is structured to allow the student to write in his or her own clinical evaluation based on presenting symptoms and audiometric test results - and then compare the results to the examiner's real case summary. 135 cases for practical assessment and professional development -- the largest collection ever compiled for a study guide! The Audiogram Workbook is a valuable source of concentrated practice and review of audiometric test interpretation, essential for those who wish to expand their skills. 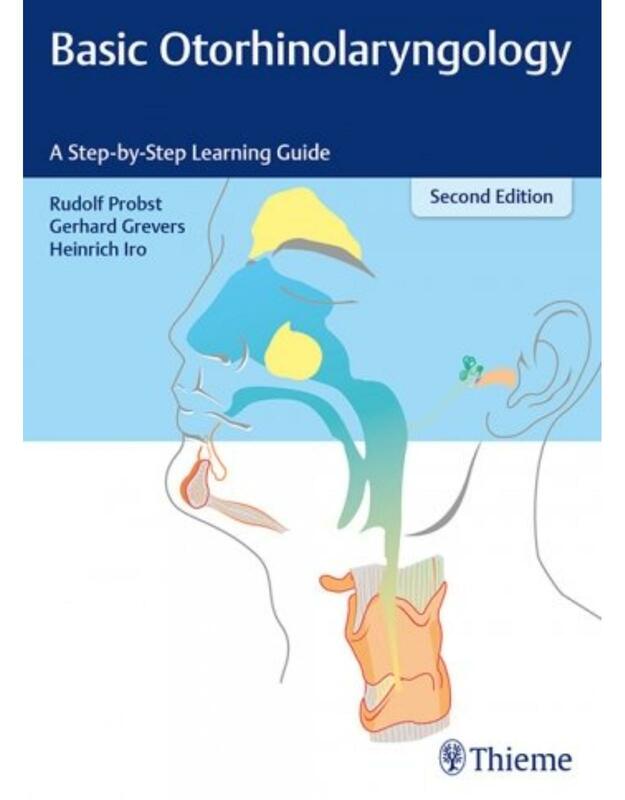 Basic Otorhinolaryngology: A Step-by-Step Learning Guide, Second Edition, is an accessible introduction to the core concepts and potentially complex interrelationships in otorhinolaryngology and head and neck surgery. The fully revised new edition includes latest developments and up-to-date terminology, up-to-date diagnostic and treatment methods, and succinct overviews of important international consensus documents and position papers in the field. The book presents material in an engaging and user-friendly format, with chapters divided into study units that follow a consistent structure. Readers will also find a wealth of figures, tables, and flowcharts to facilitate quick comprehension of topics. Basic Otorhinolaryngology: A Step-by-Step Learning Guide, Second Edition, is an essential resource for ENT residents and trainees, residents and trainees in related specialties, and students on rotation. Its breadth of coverage and easy-to-learn format makes the book ideal for course or exam preparation, and will also serve as a useful reference source. This unique book encompasses everything from hearing science and psychoacoustics to hearing conservation and basic audiometry...explaining it at beginner's level while providing a more in-depth look for the more experienced." 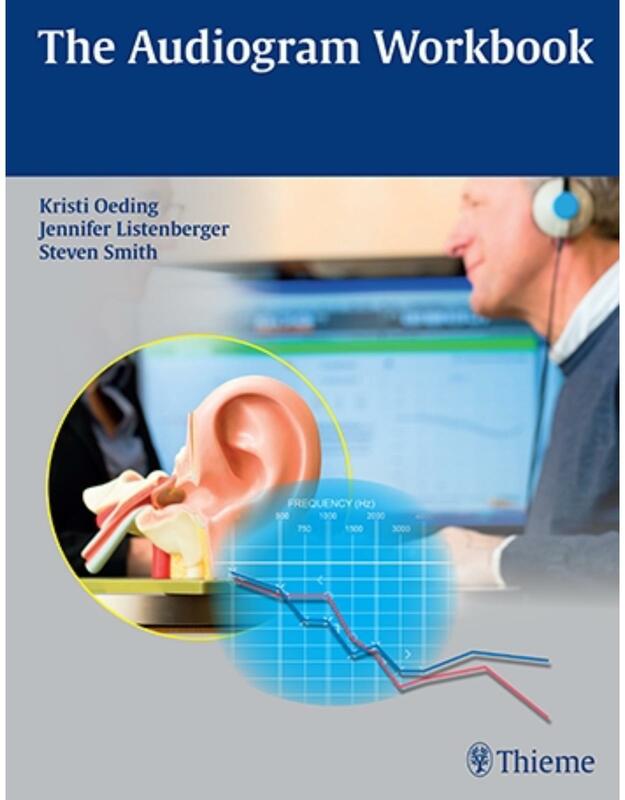 Now in a more user-friendly format, with a four-color design, this new edition includes the latest scientific and clinical knowledge to give audiology students a solid understanding of core audiologic concepts. Every essential topic in audiology, from acoustics and anatomy to auditory disorders and hearing loss, is covered in this book. 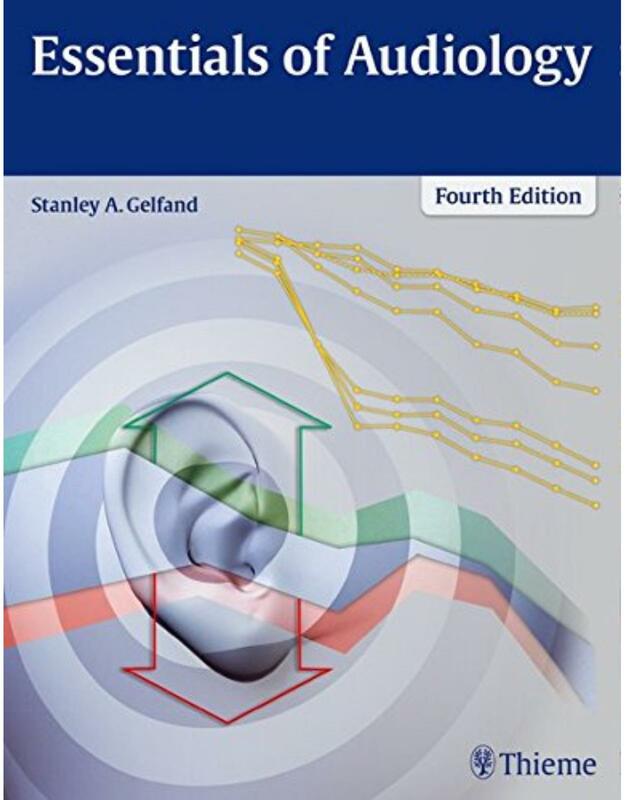 Essentials of Audiology, Fourth Edition, is an indispensable reference for undergraduate and first year graduate students in audiology as well as a valuable resource for speech and language pathology students. With thorough coverage of the essentials of clinical practice, this new edition is also a good refresher for audiologists and speech-language pathologists who are starting out in their practice. Praise for the first edition from the journal Otolaryngology-Head and Neck Surgery: "a thorough but concise clinical guide geared toward health care professionals specializing in otolaryngology as well as for general practitioners. It covers essentially every core topic within the field ... an excellent resource for clinicians seeking a firm knowledge base of the subject matter." 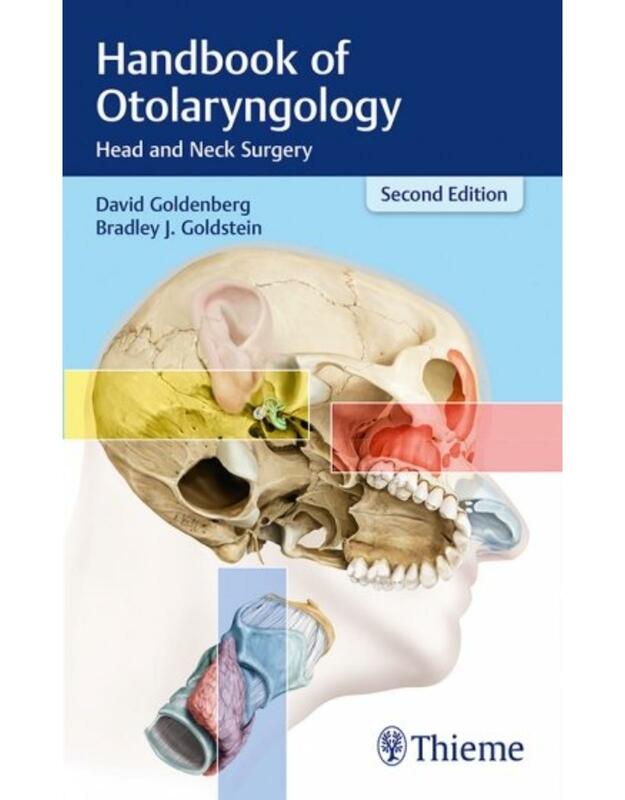 Now in full color, the revised and updated second edition of David Goldenberg's and Bradley Goldstein's acclaimed, award-winning Handbook of Otolaryngology-Head and Neck Surgery is the GOLD standard among pocket guides for this specialty. Packed with information in an all-encompassing scope, yet conveniently portable, this book's reader-friendly organization (and superb index) is designed for quick reference. Sections cover Otology, Rhinology, Laryngology and the Upper Aerodigestive Tract, Head and Neck Surgery, Pediatric Otolaryngology, Facial Plastic and Reconstructive Surgery, General Otolaryngology, and (new for this edition) Endocrine Surgery. Most chapters follow a standard format, beginning with a handy list of key points, followed by epidemiology, signs and symptoms, differential diagnosis, how to best conduct the physical exam, imaging, treatment options, outcomes, and appropriate follow-up. Detailed guidance on the full continuum of patient care-from pediatric to geriatric-is provided, which is indispensable for day-to-day practice. Color figures explain procedures, and numerous tables facilitate learning and recall. The latest TNM staging data is included within all cancer-related chapters. Where applicable, each section begins with emergency situations, providing speedy access when most needed. Three appendices provide basic procedures such as bronchoscopy, esophagoscopy, and tonsillectomy; illustrations of the twelve cranial nerves; and cross-referencing to help treat immediate emergencies. 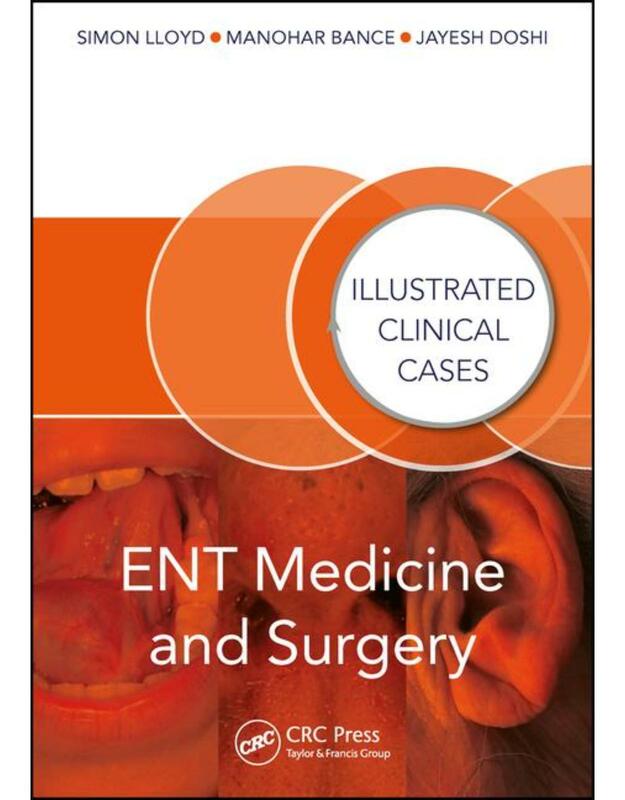 This book is the essential companion for residents, fellows, and beginning clinicians in otolaryngology, and for all physicians and allied professionals in other disciplines who can use rapid and reliable guidance on ENT medicine. The second edition of this indispensable guide provides a step-by-step approach to learning the anatomy and principal procedures of temporal bone dissection starting with mastoidectomy and including approaches to the internal auditory canal and jugular foramen. The renowned authors share their collective wisdom and pearls gleaned from years of treating patients with temporal bone disease and teaching these methodologies to medical students, residents, and fellows. Procedural details are presented throughout 10 detailed chapters, accompanied by beautiful sequential illustrations and videos. One of the most complex regions of the human body, the temporal bone and adjacent skull base present unique surgical challenges. Critical neurovascular structures traverse complex pathways through the temporal bone, which itself has highly variable anatomy. Tumors and erosive lesions create additional anatomical barriers that make effective access and resection of diseased areas difficult. At the same time, the surgical skills required to navigate this anatomy are indispensable to the management of ear disease and associated disability, and provide alternative approaches with less morbidity to intracranial pathology. This book presents technical and strategic considerations for safe and effective temporal bone surgery. This is a must-have tool that will enable residents and novice surgeons to translate laboratory skills to the operating room and perform safe, efficacious and efficient dissection of the temporal bone. 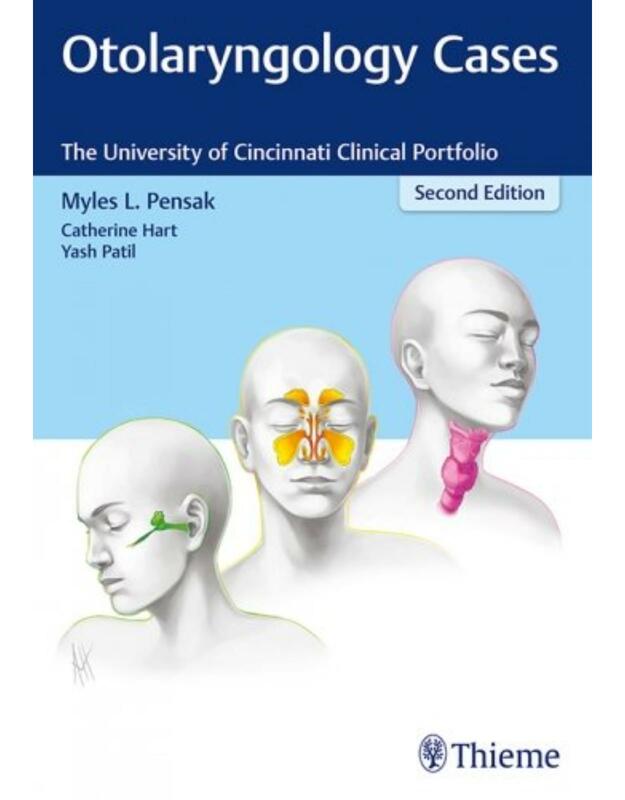 It is the quintessential learning guide for residents in otolaryngology-head and neck surgery and skull base surgery, as well as an excellent teaching and assessment tool for faculty. Clinical Laryngology addresses the practical issues faced by residents and seasoned practitioners in managing patients with diseases of the larynx. 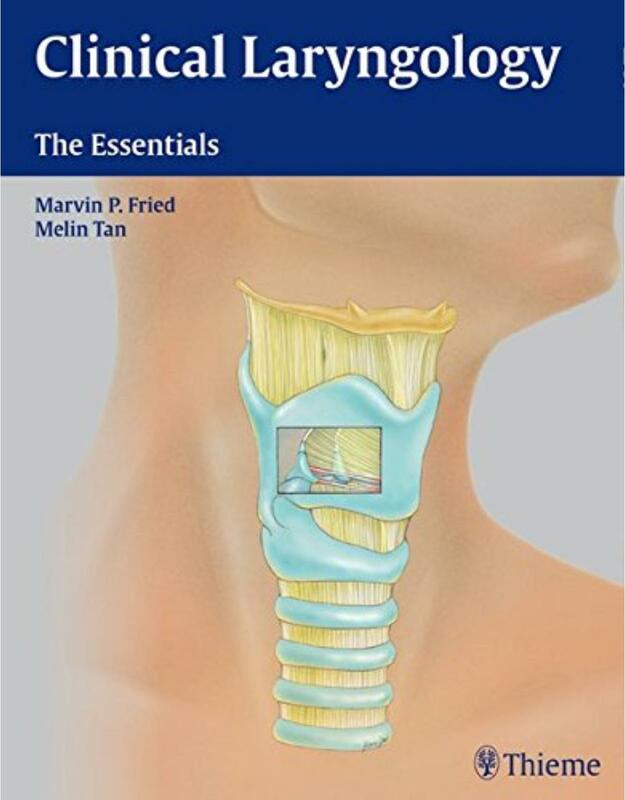 It is a concise manual covering common, everyday procedures that residents must master and provides all the up-to-date information needed by otolaryngologists caring for patients with laryngeal pathology. This clinical resource is the go-to book that residents, fellows, and practicing otolaryngologists will consult when they are in need of practical guidance on managing cases of laryngeal pathology in the course of their practice. In the tradition of the acclaimed first edition, experts from the University of Cincinnati's Department of Otolaryngology-Head and Neck Surgery present new case reviews. Every chapter presents patient-based scenarios to prepare practitioners for ENT cases they will encounter during rounds, rotations, and patient exams. By establishing a uniform algorithm in obtaining and utilizing discreet points of data, the authors encourage a disciplined approach to patient assessment and management options. Sections organized by anatomy and subspecialty enhance the ability to learn and retain knowledge. For example, benign and malignant pathologies are systematically detailed in anatomical sections dedicated to the neurovascular structures, oral cavity and pharynx, larynx, thyroid, salivary gland, and skin. The text covers the full age continuum - including congenital, acquired, benign, and malignant disorders such as pediatric subglottic stenosis and facial, head, and neck cancers that primarily affect adults. Presentation of 100 practical cases including history, differential diagnoses, test interpretations, definitive diagnoses, medical and surgical management, rehabilitation, and follow-up. Up-to-date coverage of every major ENT specialty: otology and neurotology, the skull base, rhinology, laryngology, head and neck cancer, sleep disorders, pediatric otolaryngology, trauma, and facial plastic and reconstructive surgery. Chapter bibliographies with current literature sources augment case reviews. Multiple-choice questions serve as a robust study tool, optimizing knowledge acquisition and retention. This must-have resource enables otolaryngology residents and practitioners to learn from case studies and incorporate state-of-the-art techniques into daily practice, thereby optimizing patient care. 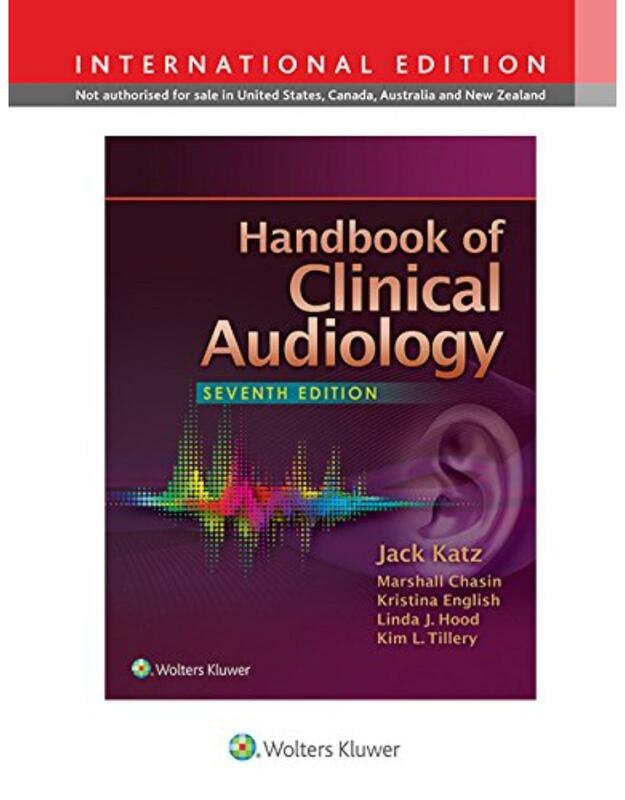 Prepare your graduate students for their careers in audiology with Katz’s Handbook of Clinical Audiology, Seventh Edition. This go-to resource was developed by an unsurpassed team of editors and authors, whose expertise in research and clinical practice spans all core areas of clinical audiology. Packed with new research, relevant case studies, and today’s best practices, the Seventh Edition has been extensively revised and updated throughout and features six all-new chapters, updated research, a streamlined table of contents, and new online teaching and learning resources to save you time and help your students succeed. NEW! Chapter by chapter image bank containing over 340 images great for creating personalized course material. NEW! On-line case studies that bring audiology concepts to life. Expanded References and Additional Readings that facilitate further exploration of topics of interest. Prepare for any middle ear surgery with this procedure-oriented text! From simple myringoplasty to cochlear implantation, this up-to-date reference covers virtually all middle ear and mastoid surgeries, and is the first text of its kind organized by operative procedure, rather than by anatomy or disease. Each chapter is dedicated to a specific surgery, allowing specialists to use the book as a quick reference or refresher when needed. Plus, more than 200 crisp, meticulously labeled illustrations pinpoint the ear's complex anatomy. 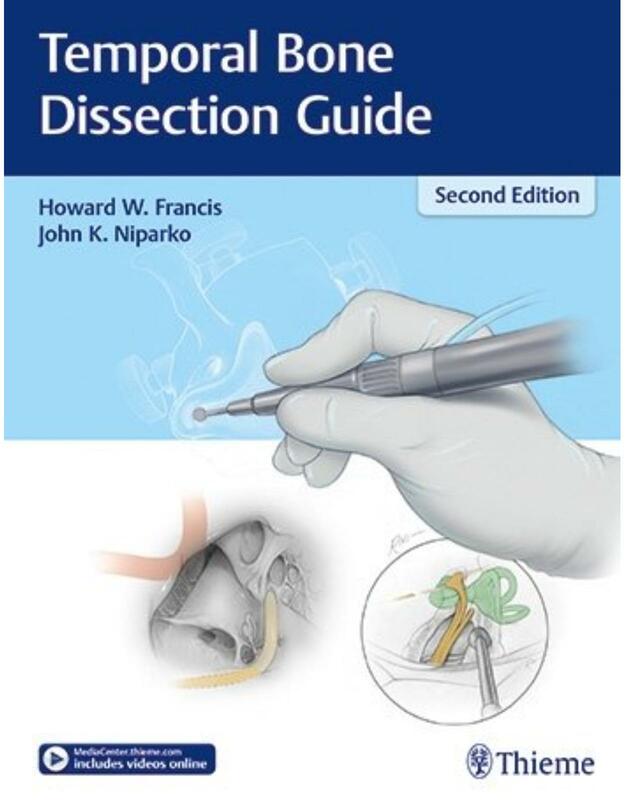 Key features: - Organized by operative procedure for quick and authoritative reference or as a refresher before surgery - More than 200 beautifully drawn illustrations demonstrate every point - Includes common as well as rare otologic diseases - Multiple techniques for each procedure - Every chapter written by a recognized worldwide expert The easy-to-use book is the reference of choice for specialists preparing for surgery. It is also ideal for residents who need an accessible textbook of modern otological techniques. Laryngology is a compact yet comprehensive resource on the management of disorders of voice, airway, and swallowing. It discusses the latest techniques in laryngeal documentation, key principles in management of laryngeal disorders, outcome measures and quality-of-life assessment, and evolving technologies in laryngology. 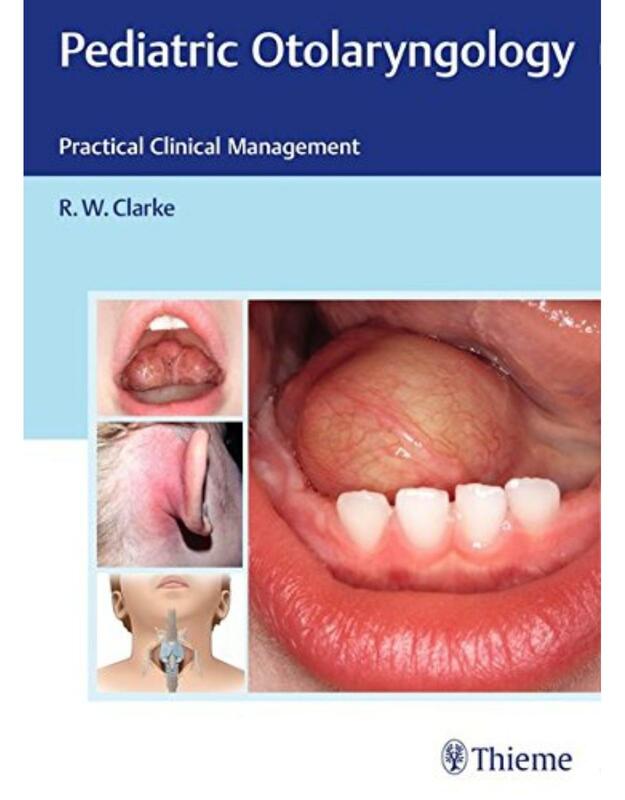 This book will be an invaluable reference text for residents, fellows, allied health professionals such as speech pathologists, speech and language therapists, general otolaryngologists, and the dedicated laryngologist. The contributors have been chosen with great care and are world recognized experts in their field resulting in a laryngology volume that provides everything under one roof. Temporal bone anatomy is arguably the most complex anatomy in the human body. The proximity of vital neural and vascular structures, the intricate three-dimensional relationships involved, and the manner in which these structures are encased in a labyrinth of bony canals pose a major challenge to the preparation for and performance of surgery. It follows that specialized anatomy teaching courses are indispensable, and these are most effective when executed with the help of dissections on cadaver preparations. 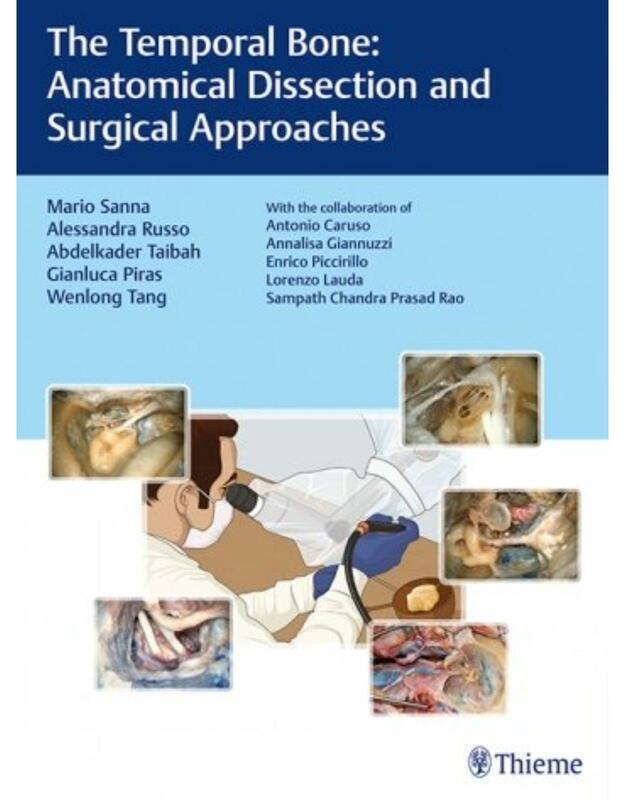 Mario Sanna's Temporal Bone is a guide to the dissection courses that the author himself would have sought to have while he was receiving training—as such, creating it has been a "dream come true" for the author. The manual is designed to complement and reinforce the experiences of course participants, comprehensively covering the normal and surgical anatomy of the temporal bone and all aspects of basic and advanced otologic and neurootologic surgery. The Temporal Bone effectively transmits Mario Sanna's passionate dedication in otologic teaching and training to excellence. Residents and fellows should definitely find it indispensable. 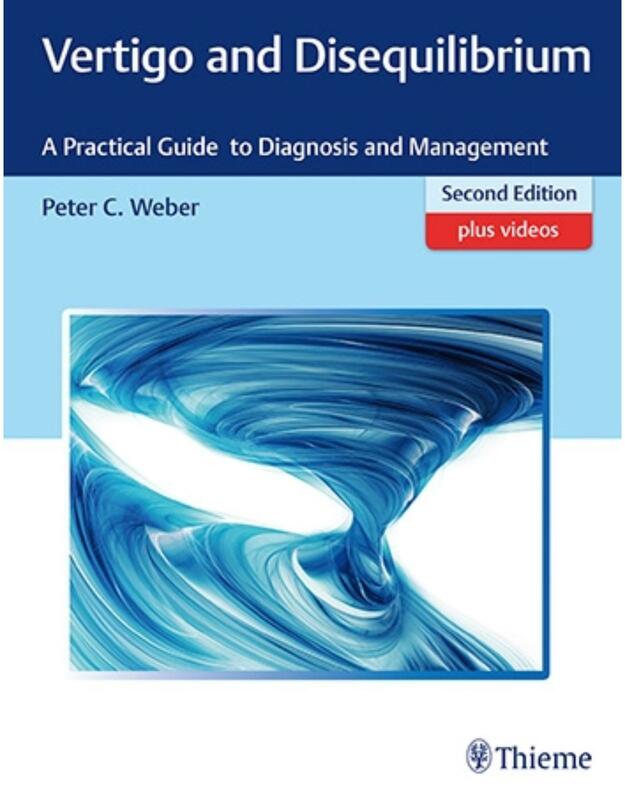 The first six chapters cover procuring a thorough patient history, examination techniques, computerized testing, radiological studies, surgical anatomy and physiology of the vestibular system, and laboratory testing. Subsequent chapters concisely detail the diagnosis and treatment of pathologies such as Meniere's disease, benign paroxysmal positional vertigo, labyrithinitis, superior semicircular canal dehisence syndrome, and unilateral peripheral vestibulopathy. This timely book focuses on the latest techniques and developments in the complex field of middle ear surgery, and covers advances in stapes surgery; cholesteatoma surgery; implantable hearing aids; and more! Written by leading worldwide experts, this book provides informative, illustrative coverage of middle ear surgery. by Dubey, Siba P., Molumi, Charles P.
This surgical atlas, featuring a wealth of color photographs, provides detailed step-by-step descriptions of a wide range of open head and neck procedures, including radical and conservative (organ preservation, functional) approaches, aesthetic and reconstructive surgeries with the use of axial and free flaps, and surgery within the narrow confines of the skull base. Individual chapters are dedicated to surgery of the nose and paranasal sinuses, larynx and trachea, thyroid, salivary glands, mandible, face and lips, and neck, the repair of external nose defects, the use of axial and free flaps, and surgical treatment of temporal bone malignancy. The atlas will be a comprehensive practical reference for clinicians in the various specialties involved in head and neck surgery, including otolaryngologists, head and neck surgeons, plastic surgeons, maxillofacial surgeons and surgical oncologists. It will assist practitioners in achieving the high level of competence that is essential owing to the large number of vital structures in the head and neck region. Pediatric Otolaryngology is an essential reference of this important subspecialty for ENT doctors in practice, as well as in preparation for board examinations. Written by a team of expert rhinoplasty and reconstructive surgeons, this practical reference and casebook offers guidelines and step-by-step instructions for dealing with the many minor and major problems that arise in revision rhinoplasty and reconstructive surgery of the nose. Divided into two parts, The Nose - Revision and Reconstruction first describes and discusses the principles and practice of these types of surgery. In the second part, 59 carefully selected cases are presented to the reader with the various surgical problems that can be expected. Revision cases are analyzed and demonstrated in a range of common and rare presentations in patients who had previous functional and aesthetic surgery, and reconstructive surgery for nasal defects or after trauma and tumor resections. This reference also addresses issues relating to psychosomatic problems, psychology, body dysmorphic disorder, patient selection and contraindications, the timing of revision surgery, and specific processes in wound healing. The concepts of septorhinoplasty in various stages of life are also discussed, as they deal with general principles that are essential in any rhinoplasty but are particularly important in revision surgery. The express goal of this book is to steer clear of current trends. Thus, it covers the gamut of closed, open, and endoscopic approaches and all graft and suture techniques, employing the full armamentarium of surgical techniques. The book also aims to improve the reader's skills in preoperative analysis and planning so that typical mistakes can be avoided and the best possible results are achieved the first time. In this sense, the book follows the classic principle of learning from mistakes so that they will not be repeated. This revised edition of Surgical Pediatric Otolaryngology provides readers with step-by-step instructions for performing the surgical procedures necessary to treat children suffering from head and neck disorders. This atlas covers routinely performed procedures in pediatric otolaryngology. Key Features: + More than 800 high-quality, detailed line drawings help teach young practitioners the latest techniques and procedures. + Authors are affiliated with two of the best children s hospitals in the world and are luminaries in the field. + Focuses on common procedures that surgeons perform on a daily basis. Residents will frequently consult this book before performing surgery and pediatric otolaryngologists will use it as a refresher for certain surgical procedures that they haven t recently performed. Essentials of Septorhinoplasty: Philosophy-Approaches-Techniques, Second Edition, integrates the functional and aesthetic aspects of complex nasal surgery to address both cosmetic and breathing issues that often occur simultaneously. Fully revised and updated, this new edition covers surgery of the septum, open rhinoplasty techniques, and closed endonasal techniques, as well as anatomy, diagnosis and preoperative planning, patient psychology, postoperative treatment, and potential complications. Illustrations detailing surgical steps and before-and-after photographs to help plan procedures make this book a complete and practical guide to septorhinoplasty. 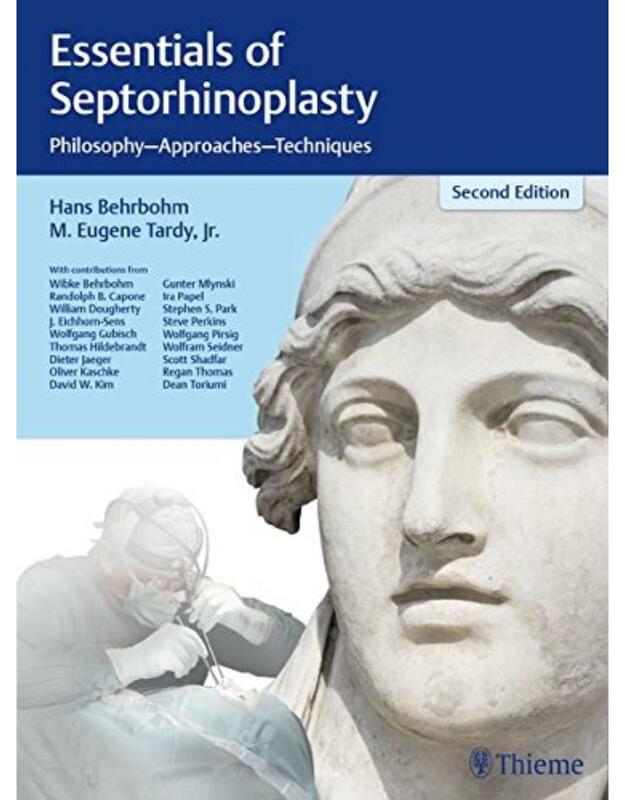 Essentials of Septorhinoplasty: Philosophy-Approaches-Techniques, Second Edition, is the only book of its kind to incorporate functional and aesthetic considerations in nasal surgery. It is a beneficial addition to the library of any otolaryngologist, facial plastic surgeon, and maxillofacial surgeon who aims to improve both form and function of the nose. Covers the full range of modern rhinology and anterior skull base surgery, from septoplasty and sphenoethmoidectomy to extended frontal sinus procedures, endoscopic craniofacial resections and complex skull base reconstructions. Clearly conveys the anatomy and detailed steps of each procedure with concise, step-by-step instructions; visual guidance features high-definition, intraoperative endoscopic photos paired with detailed, labeled anatomic illustrations. Features all-new videos expertly narrated by Dr. Palmer and Dr. Chiu. Includes new content on anterior skull base surgery that reflect new developments in the field. Helps you provide optimal patient care before, during, and after surgery with detailed information on relevant anatomy and surgical indications, instrumentation, potential pitfalls, and post-operative considerations. Expert Consult eBook version included with purchase. This enhanced eBook experience allows you to search all of the text, figures, and references from the book on a variety of devices. There are many different ways to treat complex chronic middle ear disease, with ongoing advancements being made globally. Diverse approaches are necessitated for variations in patient age, degree of infection, extent of middle ear remodeling, inflammation severity, and underlying mechanisms of Eustachian tube dysfunction. Addressing multinational and clinical nuances, the editors have compiled 48 chapters with eclectic perspectives from otology experts in 13 countries. The surgical anatomy of the middle ear cleft and mastoid and underlying pathophysiological mechanisms of chronic otitis media are clinically challenging. Articles cover anatomy, physiology, disease characterizations and manifestations, clinical evaluation, office management, surgical procedures, and new horizons. Traditional and newer hybrid techniques for systematic disease and inflammatory conditions are presented in roundtable format, for example, underlay fascia tympanoplasty as well as the use of cartilage and bioengineered materials. Selected Key Topics: Applied middle ear anatomy and physiology Pathologic mechanisms of chronic otitis media Office evaluation, management and surgical decision making Mastoid cavity obliteration and canal wall reconstruction Challenges in tympanoplasty and ossicular chain reconstruction Traditional and hybrid tympanomastoid surgery Hearing implants in the chronic ear This is an exceptional teaching tool for ear surgeons in training as well as a must-have clinical resource for practicing otolaryngologists. 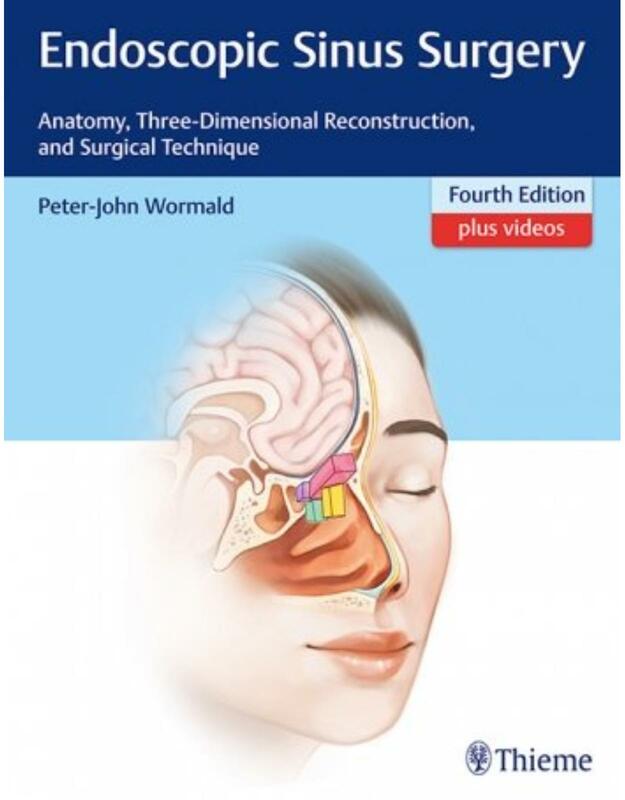 As in the acclaimed prior editions, Endoscopic Sinus Surgery, Fourth Edition focuses strictly on anatomy, 3D reconstruction, and step-by-step surgical techniques. Written by Peter-John Wormald, the richly illustrated text details anatomy and operative treatment of sinonasal conditions such as nasal polyposis, chronic rhinosinusitis (CRS), Samter's triad, eosinophilic mucus CRS, exophthalmos, acute orbital hemorrhage, orbital subperiosteal abscess, and a wide array of tumors. 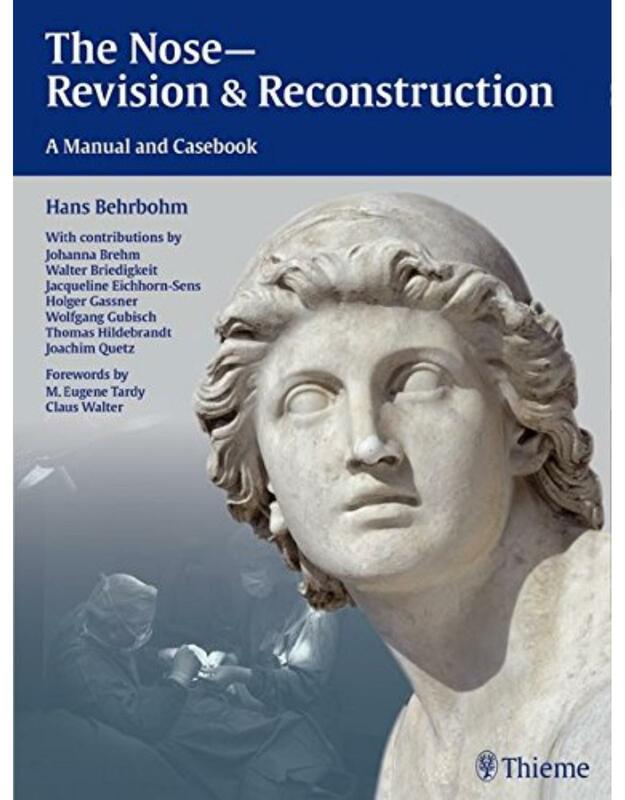 Professor Huizings brilliant text with Dr. John de Groots magnificent surgical drawings on functional reconstructive nasal surgery is now available in a new and updated second edition. Maintaining its focus on modern surgical concepts and techniques, the book now also includes state-of-the-art contributions from a team of leading international specialists. From surgical anatomy and physiology to diagnosis of nasal syndromes to step-by-step surgical techniques, Functional Reconstructive Nasal Surgery, Second Edition, is unrivalled for its clear, lucid coverage and instructive illustrations of all topics. - With the goal of improving surgical skill as well as understanding structural basics, the book clearly explains why restoring nasal function and form take priority over purely aesthetic considerations for successful surgical outcomes. - This is an essential text and clinical problem solver for otorhinolaryngologists, maxillofacial surgeons, facial plastic surgeons, and residents who perform complex reconstructive rhinologic procedures. This book presents a complete step-by-step guide to endonasal endoscopic skull base surgery, written by prominent interdisciplinary specialists and reflecting important recent developments in the field. Combining the fundamentals of skull base anatomy and pathology with current diagnostic and interventional imaging techniques, Endonasal Endoscopic Surgery of Skull Base Tumors provides a solid clinical foundation for anyone working in this challenging and evolving specialty. Special features: State-of-the-art contributions from international experts in endonasal endoscopic skull base surgery A 360 panoramic assessment of skull base pathologies Description of basic and advanced endoscopic procedures based on the endonasal corridor system Current tumor-specific strategies, including indications and preoperative work-up, endoscopic surgical techniques, sequel and potential complications, postoperative care, outcomes, and pearls and pitfalls Clear and consistent interdisciplinary guidelines for managing the internal carotid artery in skull base surgery, allowing the removal of previously inoperable tumors Surgical outcomes from two of the leading international skull base centers, one in Fulda, Germany (formerly headed by Professor Draf), and one joint program at the University of Brescia and University of Varese, Italy Complete with 500 full-color photographs, anatomic illustrations, flowcharts and tables, Endonasal Endoscopic Surgery of Skull Base Tumors offers a practical management approach and sets a new standard in the field. It is invaluable for all otolaryngologists, head and neck surgeons, neurosurgeons, neuroradiologists, and pathologists who routinely make diagnostic and therapeutic decisions with regard to skull base lesions. 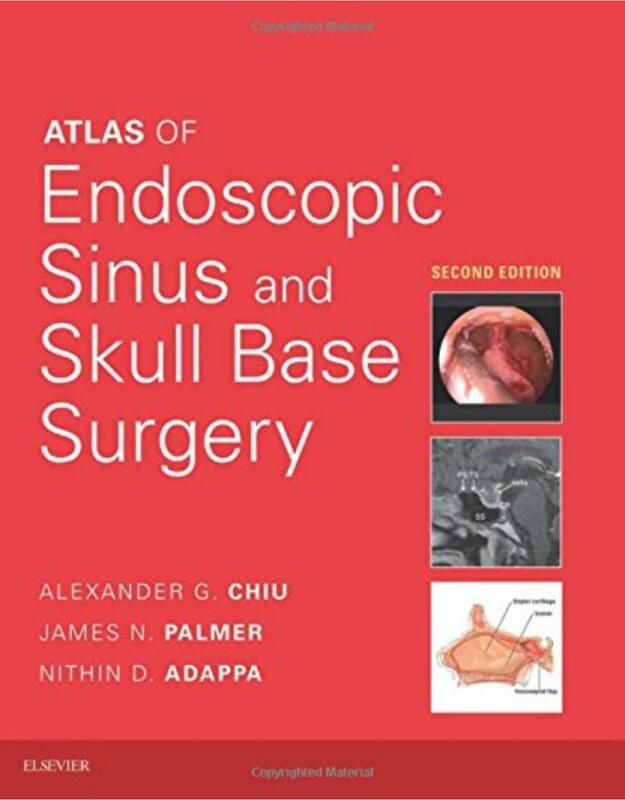 It is also an essential text and reference for those who are learning how to perform endonasal endoscopic skull base surgery in a multidisciplinary environment. Looking for the go-to guide on head and neck reconstruction? Check out the newest volume in the top-rated Master Techniques in Otolaryngology series, edited by the surgeon who performed the first human jaw transplant in the US. 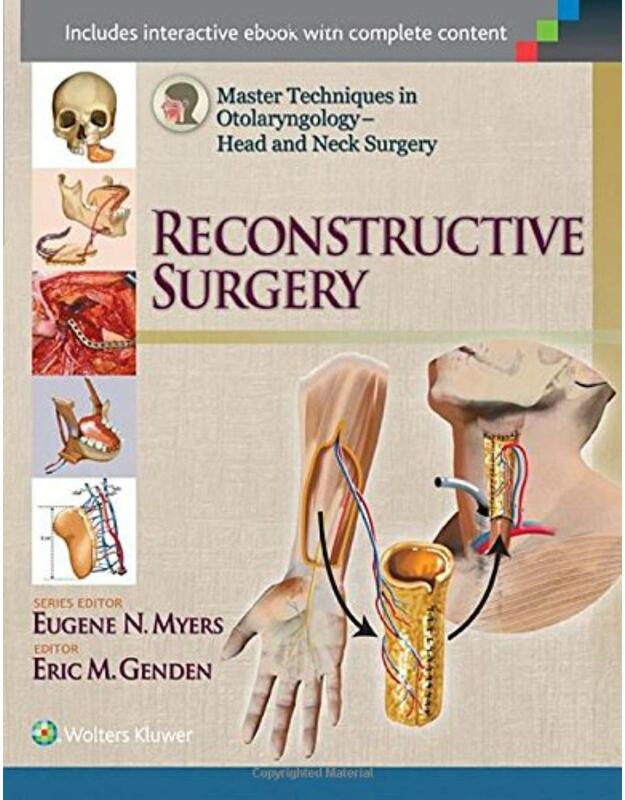 As a leading authority on head and neck cancers and reconstructive surgery, Dr. Eric Genden includes a range of treatments and techniques in this authoritative volume on microvascular reconstruction. Chapters are authored by leaders in the development of free tissue transfer flaps in head and neck reconstruction. This new volume in the Master Techniques in Otolaryngology series offers both the specialist and generalist a tightly focused, practical, and authoritative approach to more than 40 common and advanced procedures in rhinology. 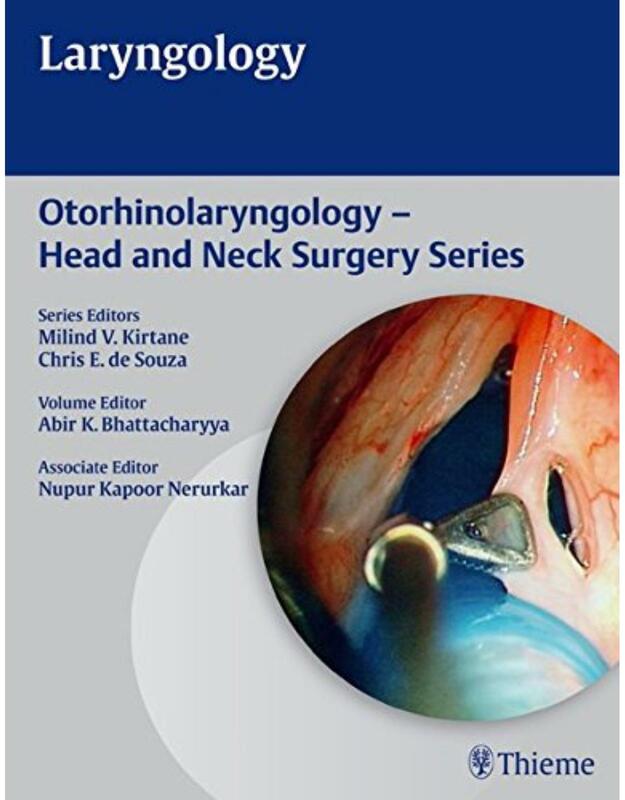 Following the successful format of other books in the series, Head and Neck Surgery: Rhinology provides step-by-step instructions and hundreds of superb illustrations covering not only endoscopic sinus surgery, but also open sinus surgery techniques, techniques for the removal of neoplasms, transnasal orbital techniques, and more. •	Focus on “how to do it,” and benefit from the expertise of masters in the field of otolaryngology. •	Master 40+ common and advanced procedures – from septoplasty to transantral balloon dilation to osteoplastic frontal sinusotomy, DCR and orbital surgery, and from anterior cranial fossa surgery to the cervical spine. •	Visualize each technique step by step thanks to more than 1,000 full-color illustrations and photographs. 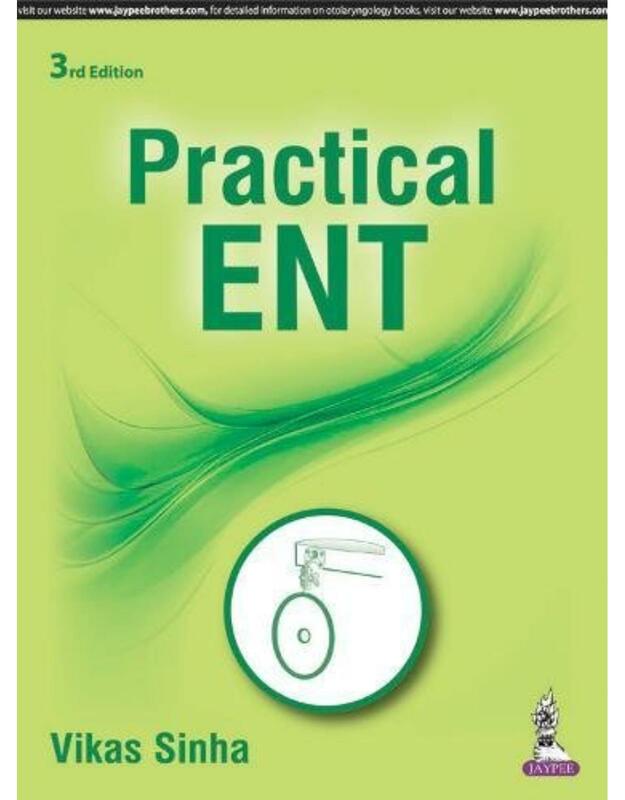 •	Apply recent advances in your surgical practice, including new imaging techniques and endoscopic instruments, current research on mechanisms of sinusitis, new understanding of sinus disorders, and innovative surgical techniques. Head and Neck Surgery and Oncology, by Drs. Jatin P. Shah Snehal G. Patel, and Bhuvanesh Singh, offers you authoritative, multidisciplinary guidance on the latest diagnostic and multidisciplinary therapeutic approaches for head and neck cancer. With this medical reference book, you’ll have all the help you need to offer your patients the best possible prognoses and to optimally preserve and restore form and function. Overcome any challenge in head and neck surgery with comprehensive coverage of the scalp, skull base, paranasal sinuses, oral cavity, pharynx, larynx, cervical lymph nodes, thyroid, salivary glands, and soft tissue and bone tumors - from incidence, diagnosis, and work up through treatment planning, operative techniques, rehabilitation, and outcomes. Increase your understanding of head and neck oncology with this completely reorganized edition, presenting a uniform flow of topics, which includes the latest information on Diagnostic approaches, staging, algorithms for selection of therapy, and outcomes of treatment for head and neck tumors. Offer today’s best treatment options with outcomes of therapy data from the NCDB, institutional data from MSKCC, and evidence-based information Diagnose patients using the latest advances in radiographic imaging, diagnostic pathology and molecular biology. Take fullest advantage of every multidisciplinary management approach available including radiation oncology, medical oncology (including targeted therapies), maxillofacial prosthodontics and dental oncology, surgical procedures for salvage of recurrences after chemoradiation therapy, and rehabilitation measures to improve functional outcomes (speech, swallowing, etc.). Understand the nuances of day-to-day practical care of patients with basic operating room techniques and technology, intraoperative decisions, and post operative care for patients undergoing head and neck surgery. Know what to look for and how to proceed with sequential operative photographs of each surgical procedure and full-color artwork to demonstrate anatomical relationships. Particular emphasis is placed on surgical management of patients after chemo-radiotherapy, reflecting the changing paradigms in head and neck oncology and the special challenges that confront modern day head and neck surgeons. 2015 BMA Medical Book Awards Highly Commended in Surgical Specialties Category! 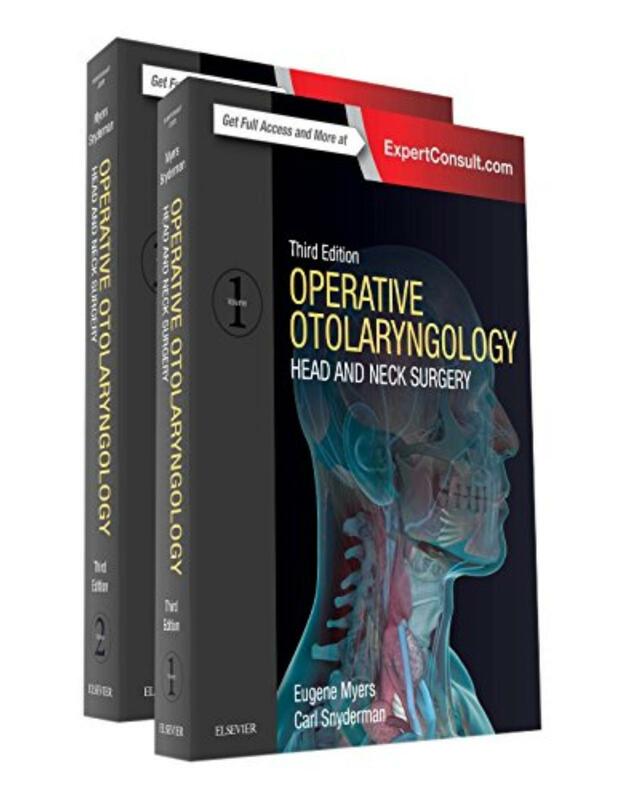 Now in its 6th edition, Cummings Otolaryngology remains the world's most detailed and trusted source for superb guidance on all facets of head and neck surgery. Completely updated with the latest minimally invasive procedures, new clinical photographs, line drawings, and new surgical videos, this latest edition equips you to implement all the newest discoveries, techniques, and technologies that are shaping patient outcomes. Be certain with expert, dependable, accurate answers for every stage of your career from the most comprehensive, multi-disciplinary text in the field! Overcome virtually any clinical challenge with detailed, expert coverage of every area of head and neck surgery, authored by hundreds of leading luminaries in the field. Experience clinical scenarios with vivid clarity through a heavily illustrated, full-color format which includes approximately 3,200 images and over 40 high quality procedural videos. Get truly diverse perspectives and worldwide best practices from a multi-disciplinary team of contributors and editors comprised of the worlds leading experts. Glean all essential, up-to-date, need-to-know information. All chapters have been meticulously updated; several extensively revised with new images, references, and content. Stay at the forefront of your field with the most updated information on minimally-invasive surgical approaches to the entire skull base, vestibular implants and vestibular management involving intratympanic and physical therapy-based approaches, radiosurgical treatment of posterior fossa and skull base neoplasms, and intraoperative monitoring of cranial nerve and CNS function. Apply the latest treatment options in pediatric care with new chapters on pediatric sleep disorders, pediatric infectious disease, and evaluation and management of the infant airway. Find what you need faster through a streamlined format, reorganized chapters, and a color design that expedites reference. Manage many of the most common disorders with treatment options derived from their genetic basis. Assess real-world effectiveness and costs associated with emergent technologies and surgical approaches introduced to OHNS over the past 10 years. Incorporate recent findings about endoscopic, microscopic, laser, surgically-implantable, radiosurgical, neurophysiological monitoring, MR- and CT-imaging, and other timely topics that now define contemporary operative OHNS. Take it with you anywhere! With Expert Consult, you'll have access the full text, video clips, and more online, and as an eBook - at no additional cost!